The leading independent specialist for windscreen replacement and windscreen repair based in Dartford and serving all of the Dartford area. National Windscreens Dartford fitting centre provides windscreen replacement and windscreen repair services to businesses and individuals throughout Dartford and the Dartford area. 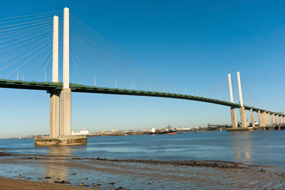 Dartford is situated in the northeast of Kent, and is 16 miles from central London. Dartford has been a market town since the medieval times, and although largely a commuter town for Greater London, it has a long history of religious and industrial importance. The town is close to the A2 and A282, as well as the M25 which provides ease of access to the surrounding area and in particular London. Dartford is also the home of Dartford Football Club who play their home matches at Princes Park Stadium. The Dartford windscreen fitting centre and its mobile vehicle glass technicians service the needs of Dartford and the surrounding area including Sidcup, Bexleyheath, Welling and Swanley. With 108 fitting centres and over 800 mobile technicians, National Windscreens operates the UK's largest windscreen repair and windscreen replacement network. The company provides low cost, high quality windscreen replacement and windscreen repair from its Dartford fitting centre 24 hours a day, 7 days a week, 365 days a year. Repair and replacement of all types of vehicle glass including windscreens, rear windows and side windows is undertaken throughout Dartford and all of the Dartford area.